For 62 years, the WINNIPEG SYMPHONY ORCHESTRA has been a dynamic part of the Manitoba arts landscape, earning the admiration of critics and the delighted loyalty of its public. Under the leadership of charismatic music director Alexander Mickelthwate, the Orchestra will make its much-anticipated first appearance in Ottawa since 1971. 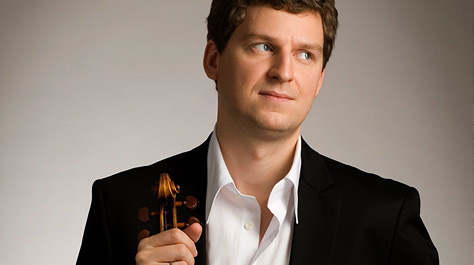 That in itself is reason to celebrate, but Ottawa audiences are in for a double treat when internationally acclaimed violinist James Ehnes, winner of music’s prestigious “triple crown” (Grammy, JUNO, and Gramophone awards), takes the stage to perform the dazzling Tchaikovsky Violin Concerto. The Orchestra will also perform Tchaikovsky’s emotionally-charged Fifth Symphony, and the program will open with a new work by renowned Winnipeg composer Randolph Peters. Rarely will you come across a musician like this engaging character, who combines technical brilliance with interpretative care. Presented in collaboration with the National Arts Centre Orchestra.